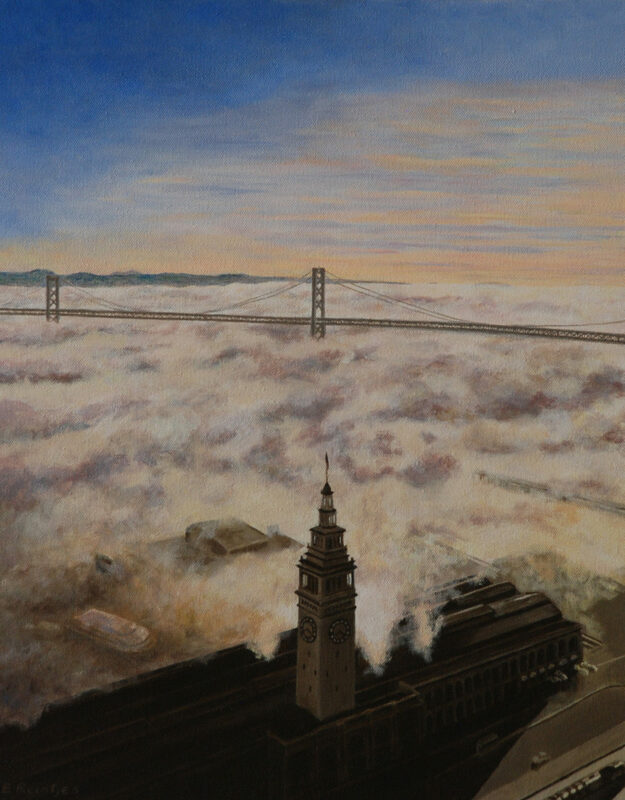 Ellen Reintjes, member 27535, sent her work entitled “Good Morning, San Francisco”. It depicts the iconic Ferry Building with a ferry coming in to berth. The bridge is the Bay Bridge which connects San Francisco to the East Bay cities of Berkeley and Oakland. She wrote “I used to work in a high-rise in San Francisco. On many days, we were above the fog. When I retired, I memorialized one of my favorite scenes”.